Finding the best snow blower isn’t easy, so let us help. Our snow blower reviews are written to educate, so if you’re not sure how to buy the best snow blower, make sure to keep reading. With the winter weather season creeping up on us, it’s that time to consider purchasing a snow blower to keep the snow accumulation at bay. Walkways, driveways, and patios tend to get rather messy during snow season, the last thing you want to do is shovel. It’s not only backbreaking work, but it’s also cold outside. Having a snow blower will lessen the hassle and enable you to have more time playing, rather than working. Our snow blower reviews are here to help you enjoy play time and get you out of over-working. Before purchasing a snow blower there are certain aspects to take into consideration. First is, how much of an area are you needing to clear? If you reside in an apartment complex and only need to clear a walkway, then you probably won’t need an industrial strength snow blower. A compact, lightweight and easy storage model would do just fine. After all, space is limited in an apartment, so having the ability to fold up and stow away would also be essential. Now, if your home has a rather large entrance way, deck, or a larger driveway, a more powerful model is necessary. Some snow blowers can efficiently chop through ice or softer wet slushy conditions, where others are more effective in freshly fallen snow. Depending on your particular area, you’ll need to determine which machine is right to tackle your specific conditions – our snow blower reviews will help you do this. Moving hefty snow requires a blower with power and ability to clear the way without clogging. Cutting widths vary, and depending on the width is the determining factor on how fast the job can get done. Some models require only one sweep of the snow blower to clear the surface, where others might require a few passes to achieve the same outcome. In addition, the depth a snow blower can effectively remove snow in a single pass is an important factor as well, the intake height should accommodate the snow levels in your area. Equally important are the stages that are available in certain models. The more stages you have, the more snow the blower can accommodate efficiently. Each snow blower review specifies what type of stage the machine uses. Single-Stage: an auger spins and throws the snow only once. It’s the most basic stage and designed for light snow build-up on decks or patios. Single stage blowers typically should not be used on gravel surfaces because the auger cuts straight to the surface and picks up any objects it comes in contact with. Therefore, gravel is the object, and launching it along with the snow could be dangerous or cause damage to outdoor structures. Two-Stage : A two-stage blower is more efficient and can handle deeper snow. An auger spins and collects the snow, and then an impeller moves it through the chute. The auger never touches the surface directly, therefore can be used on gravel surfaces. Three–Stage: The three-stage snow blower is the most efficient of them all. It’s constructed with two spinning augers that work in conjunction with an impeller. The dual augers are capable of crushing compacted snow and ice, then the impeller launches the chopped up snow at a high rate of speed. This particular model is highly desirable to those who have massive snow and ice pile up during the winter season. Electric snow blowers operate on electricity, which means they need to be attached to a power source at all times. This can either be good or bad depending on the circumstances. The convenience of having an electric blower vs. a gas-powered one is it requires less maintenance. With an electric blower, you just plug it in and go. There are no messy oil changes or mixing of fuels. Also, electric snow blowers are considerably lighter, quieter, and generally more affordable than gas snow blowers. There is, however a downside of electric blowers. You are continuously attached to a power cord. Having an extension cord dragging along beside or in the back of you can limit your ability to reach areas that are farther away. In addition, it’s possible to tangle the cord, trip, or pull the plug out of the socket without a locking mechanism. 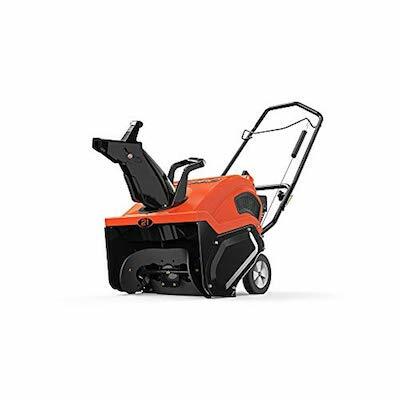 Gas snow blowers have a reputation for heightened durability and more power. They are recommended for tougher jobs and can be taken anywhere without having the limitation of an attached power cord preventing you from reaching certain areas. Plus, they’re capable of tackling larger jobs and most are self-propelled. The negative aspects of a gas snow blower is their size and weight, they are bulkier and heavier than electric snow blowers. They also require regular maintenance such as, oil changes and filter changes. Pull cords which are generally associated with gas blowers can be difficult to pull, especially for an individual of a smaller stature. Battery powered blowers are convenient for smaller jobs. They allow you the freedom to move about without restriction. Most are equipped with a rechargeable battery and are extremely lightweight. Check our full snow blower reviews to see what battery comes with each individual unit. Though they are convenient and portable they do have their limitations. A fully charged battery will only allow you approximately 50 minutes of operating time. They are not as durable as a gas-powered snow blower; however, if you’re clearing small areas that don’t require much time, then they are ideal. 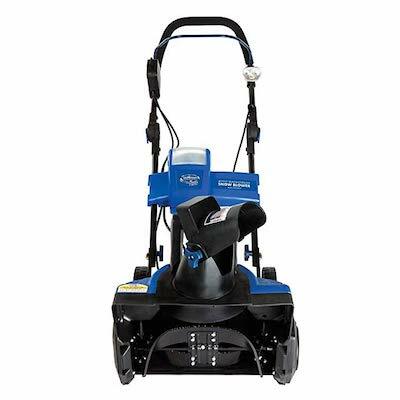 The 13.5 Amp Snow Joe Ultra SJ620 electric snow blower is capable of throwing 650 lbs. of snow 20 feet through its 180° adjustable directional chute. An integrated chute deflector also allows you to adjust the height of the snow being thrown. 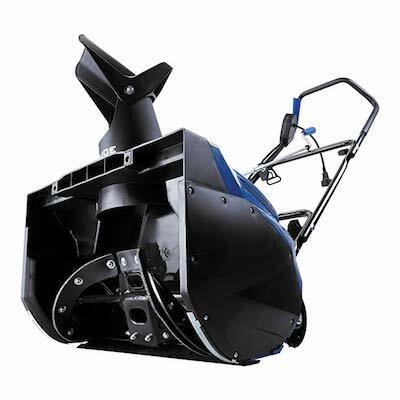 A 4-blade, heavy-grade, steel auger cuts a width of 18 inches and a depth of 10 inches, which makes it convenient for average size driveways and patios that accumulate a heavy amount of snow. A scraper blade at the base of the unit clears right down to the surface without damaging your decks or patios. Plus, the easy-glide, pivoting wheels enable you to maneuver the unit with more control and ease. This allows you to turn the blower quickly at the end of each pass, instead of struggling and straining your back to get it turned around. The Snow Joe Ultra completely and quickly removes snow in one pass, so you don’t have to repeat the process to get down to the surface. Easily started with Instant Start technology, it only takes the push of a button to get this puppy started. In addition, no messy maintenance is needed, as it doesn’t use gas or oil, just plug it in and go. This particular unit is ETL inspected, approved, and backed by a full two-year warranty – a feature that makes it unique to the other snow blower reviews on this page. The Snow Joe Ion Cordless Single Stage Brushless Snow Blower comes equipped with a rechargeable 40 volt Lithium-Ion Battery. It’s an extremely quiet blower that offers 50 minutes of operating time per charge. It’s capable of cutting a path width of 18 inches wide and can reach a depth of 8 inches. Because it’s battery operated you don’t have to hassle with a cumbersome power cord, or perform the maintenance required for a gas-powered blower. Equally important is the adjustable handle to provide maximum comfort while operating. This unit also easily starts with a push of a button. A steel auger with 2 rubber blades and an extra rubber blade at the base of the unit efficiently gathers the snow down to the pavement without damage to the surface and disperses it 20 feet in the direction you desire using its 180° auto-rotate directional chute. This powerful machine can move up to 495 lbs. of snow per minute. At only 32 lbs. it’s conveniently lightweight and portable, and at the same time offers the power you need for clearing small areas with efficient ease. In addition, the Snow Joe Ion can be operated at night as it is equipped with an LED headlight to light up the way. This 13 amp powerful electric motor with an 18” cutting width and an intake height of 9” is capable of throwing snow 30 feet into the air. It comes equipped with a 180° adjustable chute with an over-sized handle for convenience when you are wearing winter gloves. With this adjustable chute you can maneuver the snow blast in any direction you desire. The rubber tipped steel auger can clear off sidewalks, driveways, and decks with one pass with little or no residue left over. Another over-sized feature is the auxiliary handle which allows you to easily carry the unit and store when needed. A padded foam ergonomic handle is comfortable during colder temperatures when you are operating this manual push drive blower. At only 38 lbs., this model is moderately lightweight, but powerful, and requires virtually no maintenance. It can efficiently and quickly clear medium driveways and long walk ways with its easily maneuverable design. The machine also starts in an instant, removing snow and remaining clog free. The Worx WG350 is capable of throwing 650 lbs. of snow per minute. As electric snow blowers go, it’s also eco-friendly and produces zero unwanted emissions or fumes, which is great for ever-struggling environment. Lastly, this model is affordably priced and is comparable in power to a gas blower. It comes with a limited 1 year warranty. 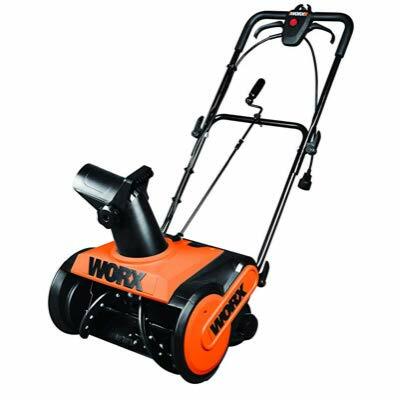 This Worx snow blower review is intended to help you understand the pieces behind the machine. Let us know if you need more help in making your decision. The Ariens 93801 Path-Pro with their trademark durability is equipped with a 208cc AX engine and the heavy-duty commercial housing is designed to tackle hard compacted snow. Capable of casting snow 35 ft. with a manual, adjustable 200° tall, rotating chute, the 938031 Path-Pro is created for efficiency and durability even in thick, piled up snow. This single speed, self-propelled blower offers a 21” cutting width along with 12” intake height, easily clearing driveways, walkways, or any paved areas that require snow removal. Reinforced rubber augers provide excellent clearing power and performance right down to the pavement. Also, the 938031 Path Pro performs well in slushy, wet conditions or when the weather is below freezing. Though it is a gas snow blower, maintenance on this particular model is fairly simple. A service door enables you to conveniently fill the gas and oil. Equally important is the lightweight design and portability. Folding ergonomic handle bars permit easy operation and compact storage. The recoil unit starting system ensures unit start-up with just a pull of the cord and the semi-pneumonic 8” wheels provide smooth maneuverability while operating. This particular model offers a 3 year limited consumer or a 90 day commercial warranty, a feature that isn’t included in most of the other snow blower reviews on this page. 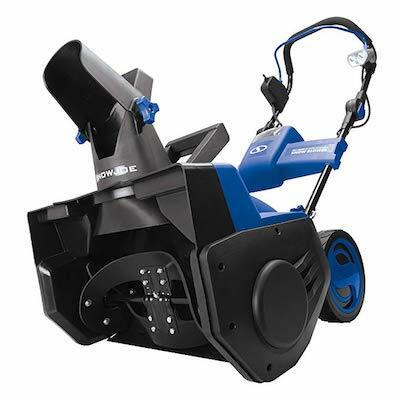 The Snow Joe SJ624E is one of the largest electric snow blowers on the market today. It’s capable of blasting 730 lbs. a snow a minute and a 180°adjustable chute throws snow 20 feet out of the way in the direction of your aim, essentially allowing you to complete large jobs efficiently and fast. With the Snow Joe Ultra, you can easily maneuver in any direction with a nice 8” glide all terrain wheels. Starting the blower is as simple as pushing a button with the instant start feature. Completely functional and versatile, the Snow Joe does most of the work for you. 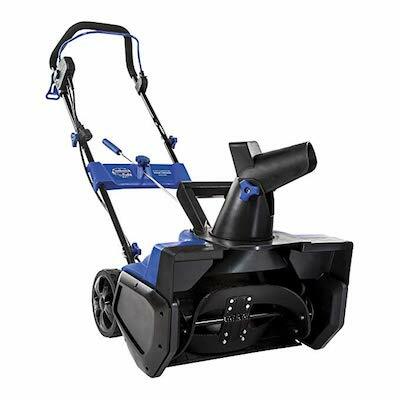 Therefore, it’s an ideal blower for clearing snow from walkways and driveways with ease. Convenient electric power allows for a no mess, no fuss operation, eliminating the need of gas or oil. Even though it runs on electricity it is equivalent in power to a traditional gas snow thrower. A steel auger is equipped with 2 rubber blades and is capable of clearing a path 21” wide and 11.8” deep, making considerable progress with every pass. In addition, a scraper blade at the base of the machine is designed to scrape the snow off the ground without causing damage to surfaces. An adjustable handle allows for a multi-positioning height for your comfort. Weighing only 34.6 lbs. 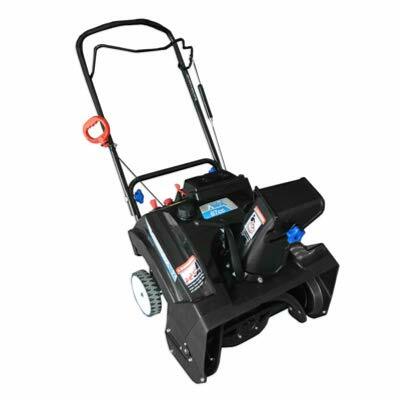 this deluxe, powerful electric snow blower is extremely lightweight and manageable, allowing for easy storage when not in use. The Snow Joe Ultra is ETL approved, eco-friendly, and a 2 year full warranty is included with purchase. This Snow Joe Ultra snow blower review explains why the Snow Joe Ultra is one of the best snow blowers on the market today. The AAVIX AGT1420 is a powerful 87 cc gas snow blower that can cut a path of 20 inches and to a nice depth of 9 inches. It can move up to 700 lbs. of snow per minute, efficiently clearing off medium-sized patios, driveways, or decks with ease and convenience. In addition, the 160-degree adjustable chute blasts snow in the direction you desire. AAVIX uses its Power Curve technology to clear right down to the pavement, and assists in clog prevention. In addition to its powerful snow blowing capabilities, it also is equipped with a full-bail ergonomic lift handle with quick level and a zip deflector. When not in use, the handle folds down for compact storage. Plus, a cord lock enables you to operate the blower without interruption in power. Some assembly is required with this model, but it’s also lightweight at only 25 lbs. A lift handle makes it easily transported to wherever you need while blowing or during storage. The AAVIX AGT1420 is designed to move snow effectively and is equivalent in power to a gas blower, however, unlike a gas blower, no maintenance is required. AAVIX is a solid brand of snow blowers and this particular model offers a 2 year warranty with purchase. There are several benefits to owning a snow blower over endless shoveling. 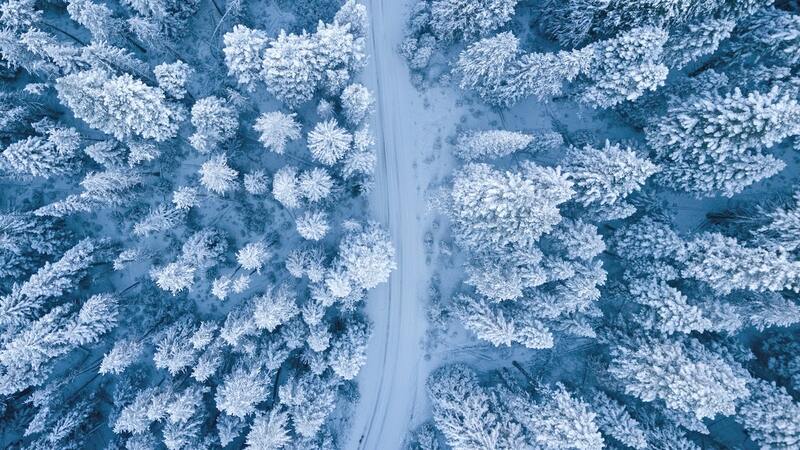 Winter can be an extremely harsh season, and for those subjected to heavy winter storms, with a continuous compilation of snow and ice, are aware of how necessary it is to have an efficient means of eliminating it. Of course a snow shovel can perform the job, but who wants to spend hours shoveling snow when a snow blower can complete the task in less than half the time, allowing you to enjoy the winter season rather than despising it. Shoveling endless amounts of snow is grueling labor and can take hours every day just to clear a path from the front door to your driveway. Even after you’ve shoveled yourself through, you still have to clear an access for your vehicle. Who has time for that? A snow blower is basically an effortless means to clearing these areas without hard labor or an injured back. Snow blowers typically operate similar to a lawn mower and some are self-propelled and require only guidance. They efficiently move snow and ice out of the way, enabling you to get where you need to be in a hurry. Plus, the time it would take you to shovel snow; you could be spending those hours indoors in the warmth enjoying time with your family and friends. Even a small snow blower is capable of clearing a deck or patio with ease. Just because it’s winter doesn’t mean that you should avoid these areas. Decks and patios can be utilized in this season as well. 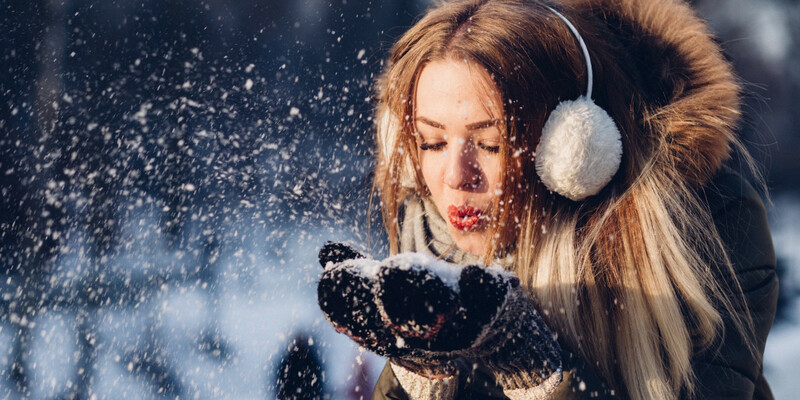 Plus, ridding snow and ice from your deck or patio can also assist in creating a hazard free environment by eliminating the possibility of slipping and injury. Also, accumulating snow or ice on a deck can be heavy, therefore reducing the strength of the deck and if not well protected could cause faster discoloration. Most of us have jobs or have to get to school or the store, and in order to get to these places, we must be able to access the driveway. A driveway packed with snow is unusable and basically sentences you to house arrest, as you can’t just get in your vehicle and drive away. Snow blowers can clear a driveway in no time, allowing you to get where you need to be. Shoveling on the other hand is tedious and time consuming. At that point, you’d just rather stay in your house than dig your way out of the house and on the road. Whether you live in an apartment, house or large estate a snow blower is an efficient source for moving snow effortlessly. They can be used on various surfaces depending on the stage level you select. 2-stage as well as 3-stage can move snow off of gravel surfaces with ease, and a single-stage efficiently removes snow off of smaller, smoother surfaces. In addition, depending on the model you choose, they are even capable of clearing snow and ice off of slopes and other hard to reach areas whereas, it would be more difficult without one. Basically, anyone can operate a snow blower. Most of the electric blowers start with a push of a button, and are easily maneuverable. Electric blowers, especially, require no maintenance. They are a lot more efficient than typical shoveling, and are not as time consuming. As mentioned previously, shoveling snow is exhausting and strenuous. Continually lifting heavy shovel loads of snow and tossing it out of the way can be extremely harsh on your back, shoulders, and arms and can possibly cause a debilitating injury. Equally concerning, shoveling puts an unnecessary strain on your heart and lungs, which can be highly dangerous to an elderly individual, or someone suffering from certain health conditions such as high blood pressure. Plus, your body is continuously heating up in freezing cold temperatures, producing sweat and the possibility for hypothermia if subjected to these conditions for long periods of time. Snow blowers provide convenient, effortless, and efficient benefits to clearing piled up snow and ice. This in turn, enables you to relax instead of spending countless hours exhausting yourself continuously shoveling snow. Snow blowers are specifically designed to perform these daunting tasks so you don’t have to.